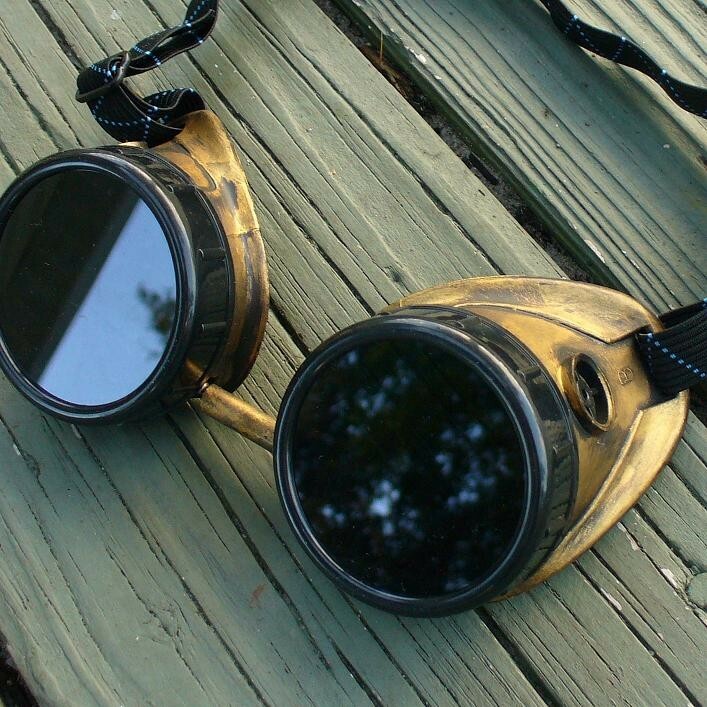 Sleek black goggles with bronze eye cups, deep purple lenses, and bronze compass design on either side. 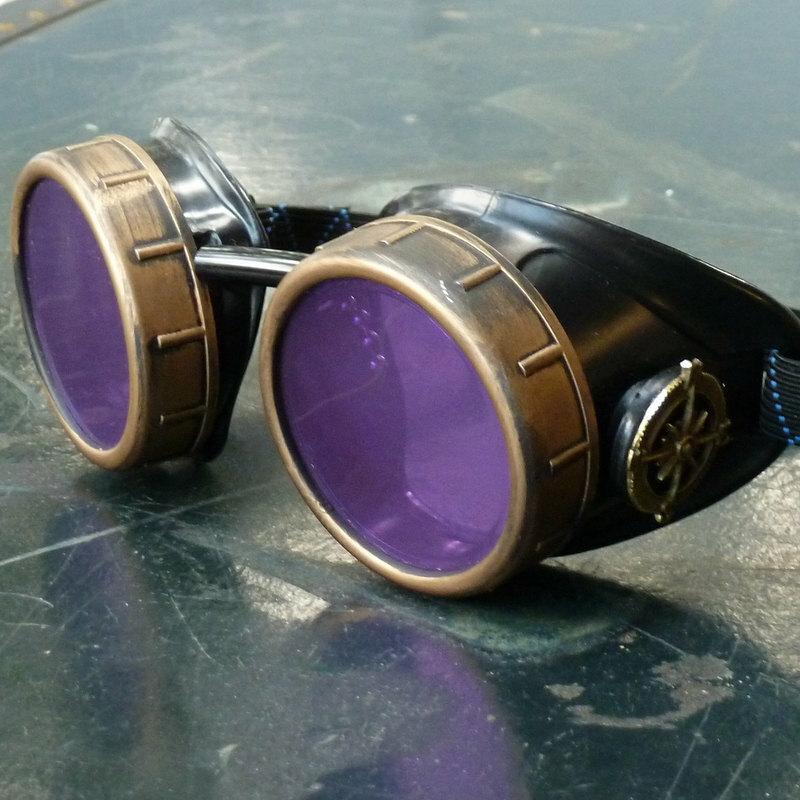 Seductive purple lenses set against beautiful black and bronze goggles make this the perfect pair for someone who has a taste for the sensual. 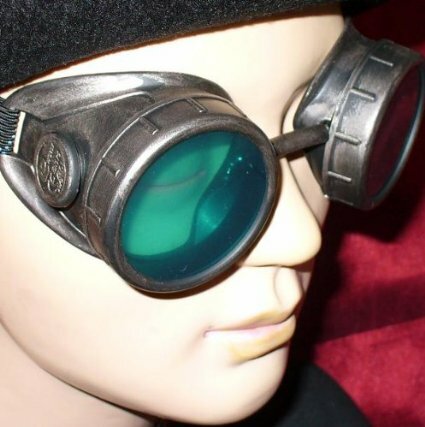 The elastic strap is adjustable and has a good stretch so you can lift the goggles for a quick wink with ease. 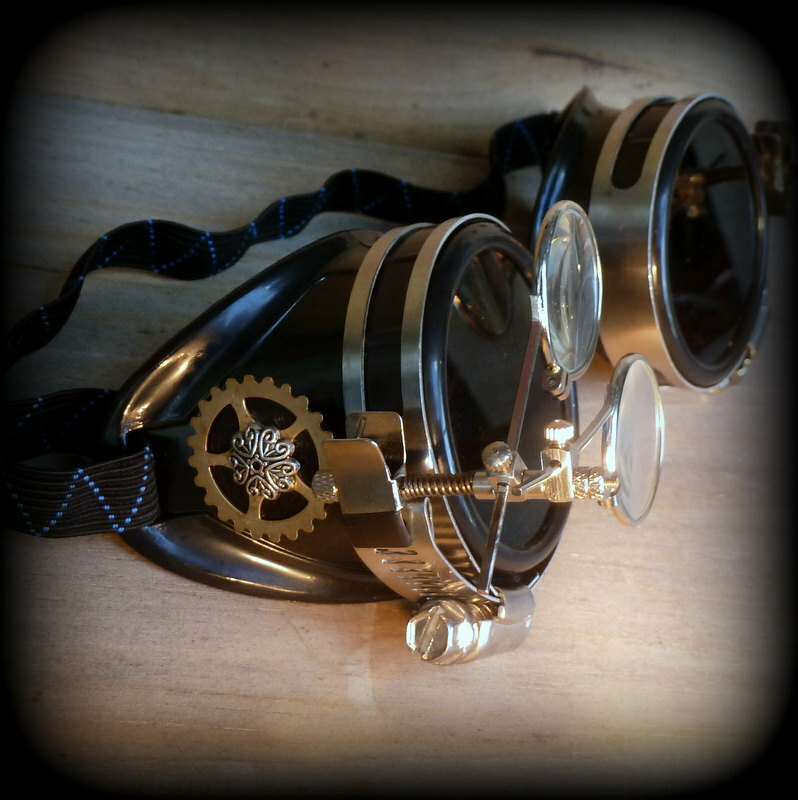 A bronze compass rose shines invitingly on either side. 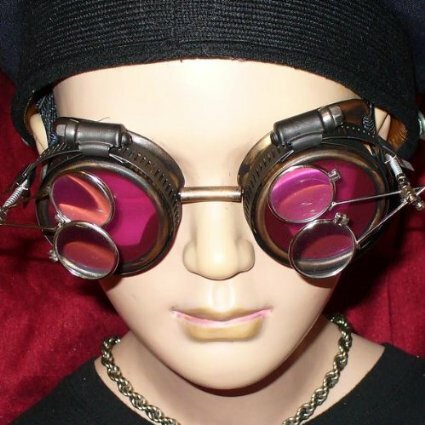 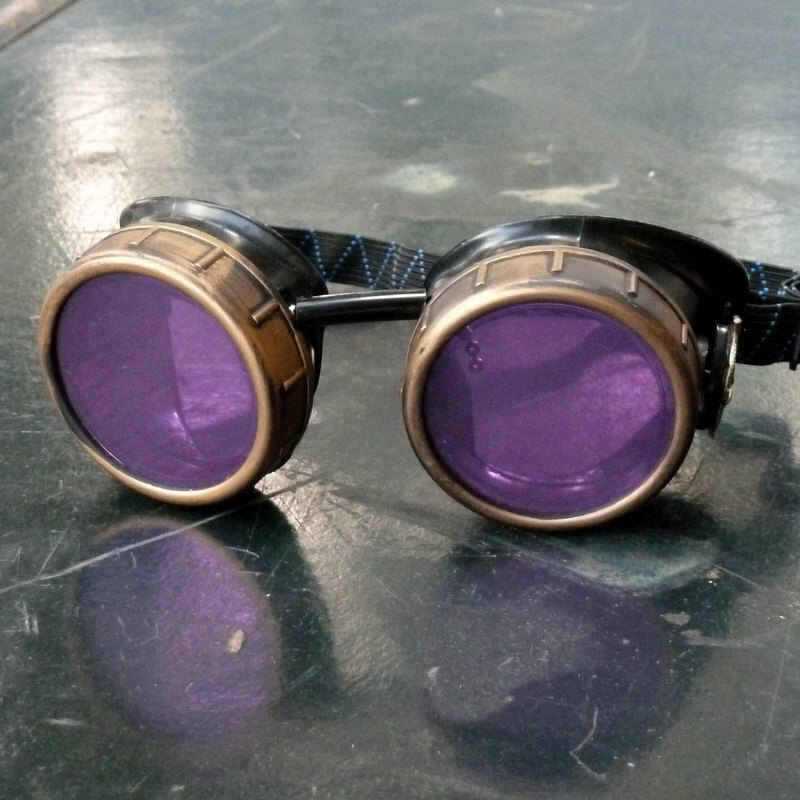 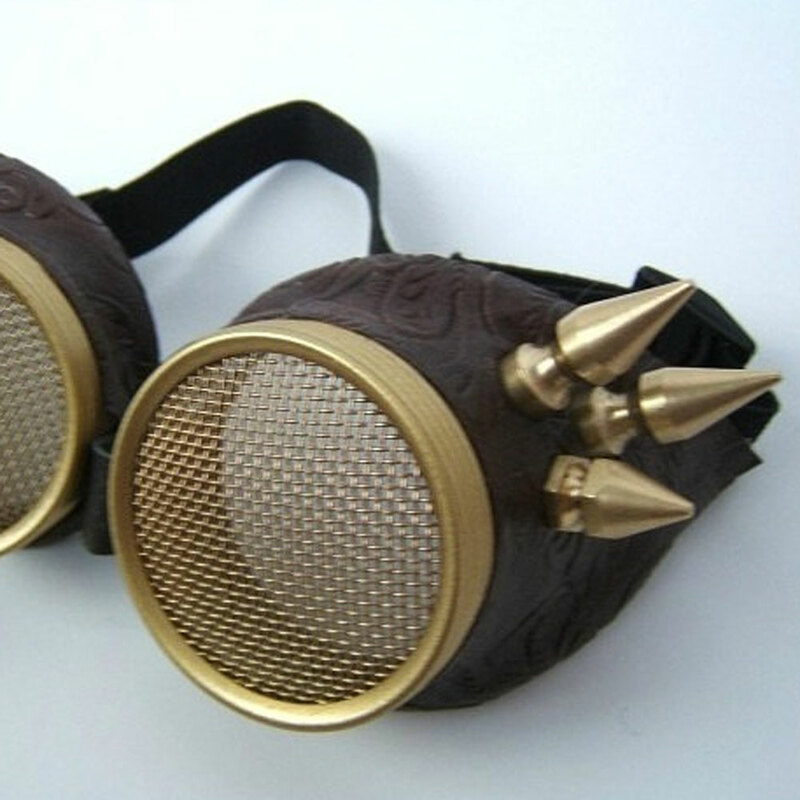 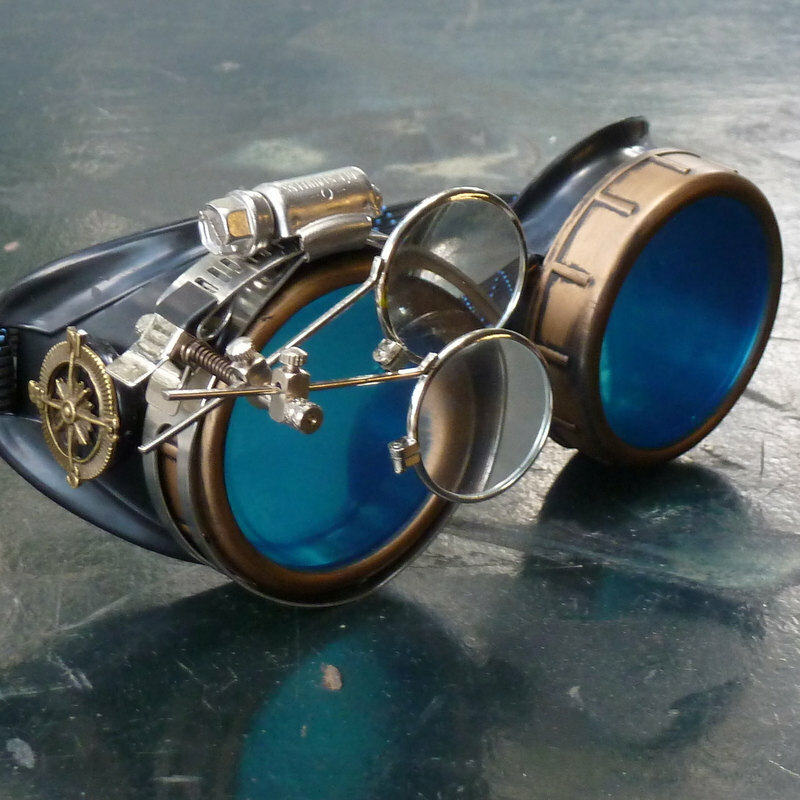 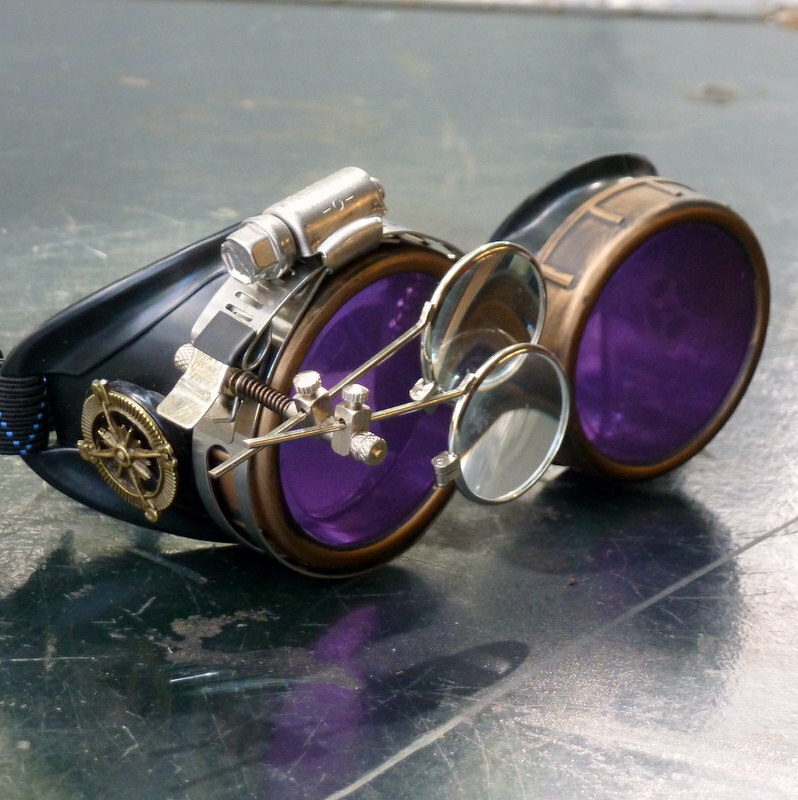 If you are in the market for some costume goggles, this pair would work perfectly! 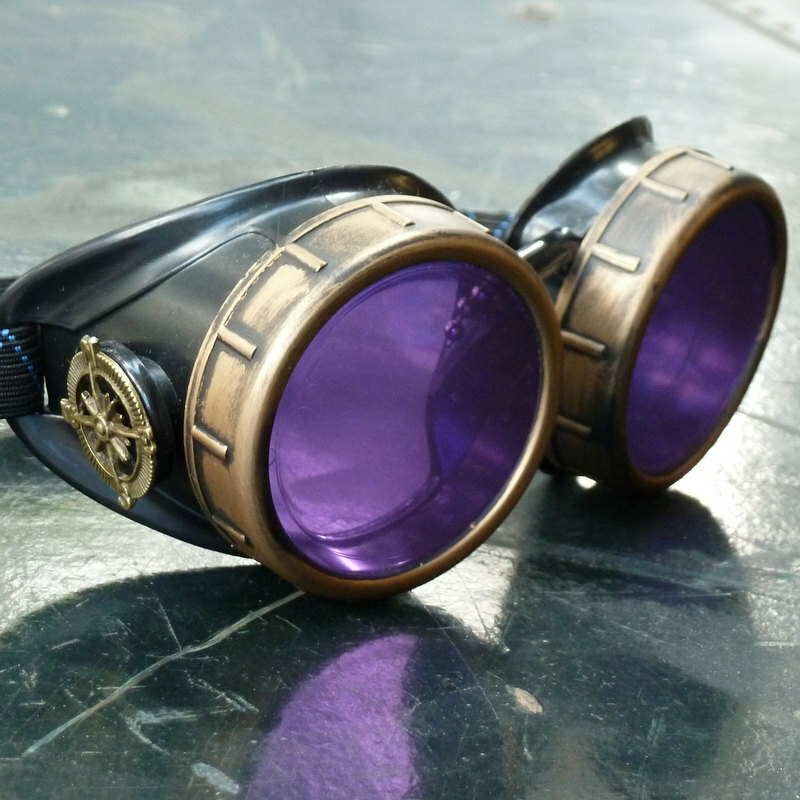 Be the first to review “Black and Bronze Compass Goggles with Purple Lenses” Click here to cancel reply.